Incredibly Good Skin Can Be Hard To Achieve, Which Is Why Raw Gaia has Come Up With A Range Of 100% Natural, Organic, Vegan, Ethical And Environmentally Friendly Skin Care Products That Allow You To Achieve the Perfectly Good Skin of Your Dreams! It is the goal of Raw Gaia to make your life problem free with the right face care, body care or baby care product when you join their long list of lovely customers. They provide a wide variety of unique products sure to meet the highest of standards. Raw Gaia is the world's first range of living organic skin care products and organic beauty products, hand-made using only cold-pressed, organic, vegan, cruelty- and chemical-free ingredients. Their natural & organic skincare products have outstanding skin moisturising and uplifting qualities because they are absolutely pure, alive and made with the Earth's most nourishing and beautifying skin care ingredients, which are far more effective than any chemical or artificial moisturisers. Through a special low temperature process, Raw Gaia's organic skin care products retain all the life energy, antioxidants, vitamins, minerals and essential fatty acids in the ingredients, which help to moisturise, heal and revitalize all kinds of skin. Raw Gaia is one of the most ethical companies you'll find anywhere in the world. All their ingredients are organic, vegan, cruelty-free and free from any chemicals. They have also adopted an unprecedented "ethical marketing" approach to beauty and aging. Raw Gaia customers love their organic skincare products and organic beauty products because of their living qualities and absolute, natural purity. Their products do feel different, they have a lovely texture, smell and they make you feel and look great. And, they are very affordable. You can't ask for more then that! I want to encourage you to try Raw Gaia and experience the nourishment that only something as natural, alive and pure as the Earth can give. If you have been looking for a way to make a healthy change in your life than Raw Gaia will have the product or products to help you to do that! The Raw Gaia selection of Superfoods come vacuum packed and full of nutrient packed benefit. With altogether eight to choose from and packed in either 100g or 250g bags, they are the perfect top up for your skin care order and for your body’s nutritional requirements. Research with your intuition to find one that you think will work for you, or try a selection. Raw Gaia’s range of moisturisers are made up of a combination of finely balanced, skin loving ingredients which combine to sooth, enliven, clear and love your skin, with outstanding properties that are close to nature. Raw Cacao Butter as the main ingredient is known for having the best moisturising benefits and ensures that all of them will smell divine. Raw Gaia has crafted three detox busting Face Packs which are pure indulgence for the skin. 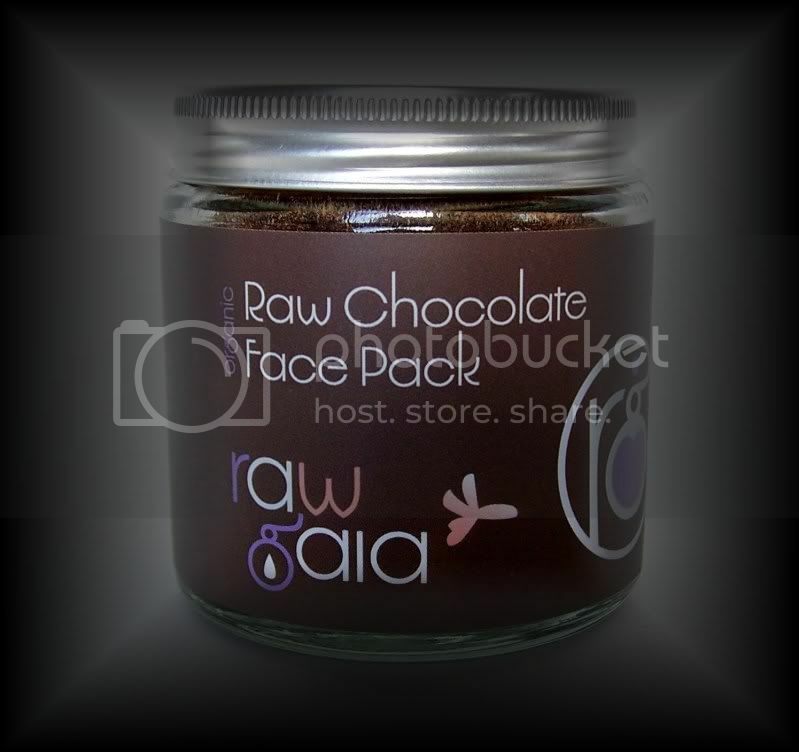 The Rhassoul Clay and Green Clay Pack are comprised solely of clay, reputed to draw out toxins from beneath the skins surface and the Raw Chocolate Face Pack, a favorite of many Raw Gaia Therapists not only cleanses deeply, but smells delicious. All of Raw Gaia's cold pressed oils are just that – 100% cold pressed oils, without any fillers, chemicals, mixes or additional junk and the extraction process is assuredly efficient and ethical. They come ready to use in 50 or 100ml bottles, clearly labelled and itching to be distributed on massage ready skin. My personal favorite Raw Gaia product is the Cold Pressed, Organic Hemp Oil. It is an emollient which is non-greasy and works perfectly as a moisturizing compound with excellent moisture balancing properties. Using this oil is a great way to achieve soft, smooth and hydrated skin. Those of you who follow DJ6ual: An Irish Girl's Blog know that I am a strong advocate of legalizing the use of Hemp and all other Marijuana related products. The legalization of Hemp would do wonders for our Global Warming/Climate Change problems and Medical Marijuana would help many people with severe illnesses find relief from pain. I commend Raw Gaia for providing Hemp friendly products. Fresh, organic skincare creates a more youthful, vibrant appearance. Vital nutrients, such as anti-oxidants, proteins, amino-acids, essential fatty acids, vitamins, minerals and carotenoids, sourced from vibrant fruits and vegetables, deliver the core building blocks to build healthier and more beautiful skin. Please show Raw Gaia some LoVe on Twitter and Facebook!